You may remember a couple of months ago CoinGeek.com sent the Financial Directors of 20 top online retail brands, who do not currently accept Bitcoin, $100 of Bitcoin via a QR code. The brands selected for this experiment were: Alibaba, Amazon, Tesco, Staples, Uber, MacDonalds, Netflix, Airbnb, American Airlines, LVMH, AT&T, CVS Health, Tesla, Apple, FedEx, John Lewis PLC, Spotify, BMW and Red Bull. These companies are considered as forward thinking but are they seeing the potential of cryptocurrency? Well, no, is the resounding answer! Nobody part from Laurence Tosi from Airbnb took up the offer of the free Bitcoin. 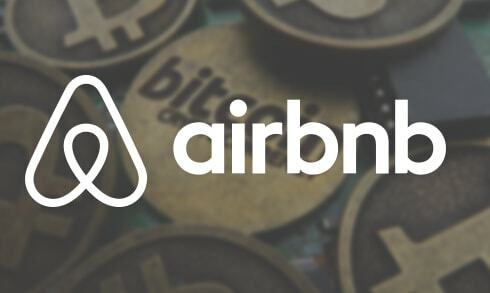 So while we salute Airbnb and hope to see the ‘Bitcoin accepted here’ logo appearing on their website soon, we lament the head-in-the-sand attitude of brands like Uber who have often been applauded as radical thinkers. They clearly want to remain chained to the banks and credit card companies, disappointing, but true. It is important to state that many important global retailers are already on board including: Starbucks, Subway, Dell, Expedia, Overstock.com and Microsoft. Let’s hope Airbnb have now got the bug and hat’s off to Laurence Tosi for having the foresight to experiment with Bitcoin. About CoinGeek: Funded is by a group of Bitcoin owners and enthusiasts, CoinGeek.com and brings up-to-date, accurate and informative news on all things Bitcoin-related; both positive and adverse – but won’t be forgetting the fun side of Bitcoin.